A direct correlation can be drawn between the success of a company and the brand awareness that the company commands. Consider for a moment the prevalence of Mars bars over any other chocolate bars. Mars bars in themselves are not superior to other chocolate bars, in fact they are very similar, and the recipe in itself is quite simple. The reason mars is so popular, and you start thinking of having a Mars bar when you want some sugar, is because of the clever branding strategies implemented by the people behind mars. The same can be said of Target shops, of Coca-Cola, and Apple macintosh. Your product is only half of the equation. The other half is making people know it’s there, that it’s available, and that it’s accessible. These days, there are two main ways of doing so, online and offline advertising. Let’s start with the first, because if you’re a local business, it might be the most important. You make your mark and your image permanent in the physical world with signage. With quality signage that has an extended life, you will ensure that your business becomes part of your local landscape, a landmark that people can refer to and use to orient themselves. You will integrate with your surroundings, and you will become stuck in people’s minds as being part of your local area. As son as they need your service, your brand will occur to them. If you don’t have eye catching and good quality signage within your area for your business, speak to a signage company about getting some made. Think of your signage as advertising for yourself. If you trade through a physical shop front, this obviously has to be appealing and welcoming to potential customers. Even if you don’t, you need your local base to know about you. The other way of building brand awareness is online, and in this respect, SEO is indispensable. SEO stands for Search Engine Optimization, and it’s an essential part of your success and your brand because it’s the way you appear visible online. You need to be visible in search engines, because it is search engines that direct traffic on the internet, and determine what internet users see and don’t see. There are so many online business and marketing trends, but this one is more than a trend. As long as search engines exist on the web, SEO will be important. Don’t risk ignoring it when your competitors are using it. Your social media usage should be related to this strategy also. 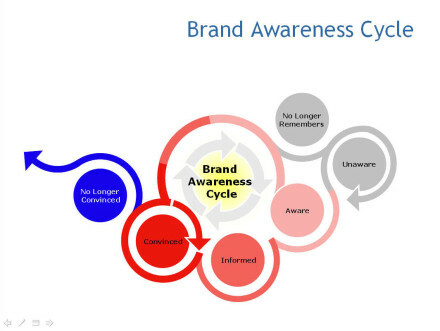 At every point in your engagement with internet users and every marketing step you take, you should have your long-term brand awareness strategy in the back of your mind, as it is what you are working toward. Obviously your product has to be good quality as well, otherwise all your marketing will be for nothing. If you really believe in your product, back it up by making it as usable as possible to those who need it or want it.